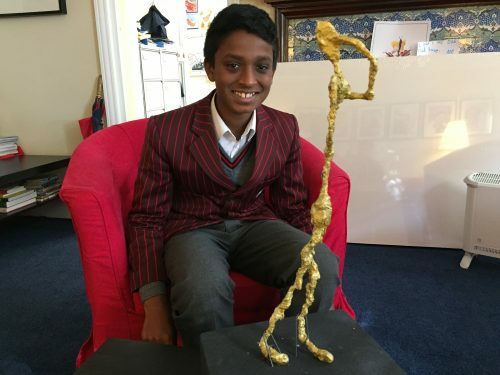 Congratulations to Jeran for his exceptional work on Giacometti. I looked through his sketchbook today and he has clearly understood the unique sculptural style of this artist. Jeran has then captured a pose using digital photography, entitled ”What do you mean?’ and using the skinny elongated look of Giacometti, recreated his own interpretation. Mrs Walsh was right to send Jeran my way for a commendation…art world…look out, Jeran has arrived!